Don Bosco is a rarity, at least in our part of the world. The children’s book author from Singapore is a full time writer and Indie publisher. 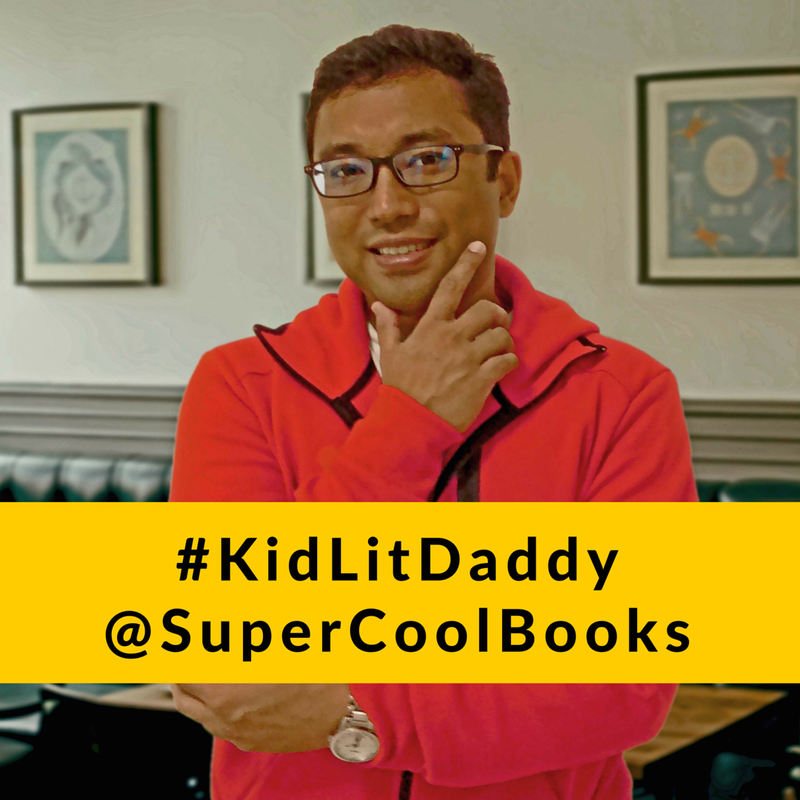 He started Super Cool Books in 2011, to self-publish his books and to date his company has produced 16 books, in collaboration with established publishers, and 30 ebooks and paperbacks. 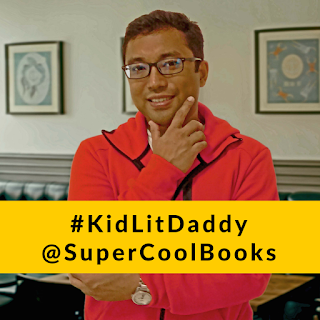 Even more astonishing, Super Cool Books is basically a one-man outfit, with some assistance from his two young sons. He accomplishes this by outsourcing some of his work through an international network, in a Herculean feat of organization and multi-tasking. He also does not fit the traditional profile of the author as a solitary person, driven to perfect his craft and appears to be more of a businessman, albeit a creative one. Well we’ve heard of the Hybrid Author, now meet the Author Entrepreneur. Hello! My name is Don Bosco. I write and publish adventure and mystery books for children. These are mostly inspired by Asian legends and pop culture. I have a small publishing company for this, it's called Super Cool Books. This is basically a virtual team of occasional consultants and assistants around the world who help to put my books together, produce online posts, connect with distributors, etc. I started this in 2011 as a project to help my kids appreciate books better, and since then we have produced around 30 ebooks and paperbacks under our Super Cool Books imprint, plus 16 or so titles in collaboration with bigger publishers, and also launched our own iPad ebookstore with exclusive digital editions. As you might expect, this takes up all my time, so it's become my day job. 2. Are you the only one behind Super Cool Books or do you have other partners? individual projects, but not at the SCB level. 3. I'm guessing the consultants are paid on a project basis? Yes, and more often on a task basis. There are lots of freelancer websites you could use for this. Sometimes you might need an expert to fix one small thing in order to have the whole production proceed smoothly. I do feel like I should mention this, because sometimes people say, "I thought you published this yourself, but actually you had so much outside help." I used to feature our editorial and creative freelancers and consultants on our blog in the earlier days, but not so much the marketing and business people. 4. Tell us about your books. Also, when did Marshall-Cavendish acquire the rights to your books and how this came about. 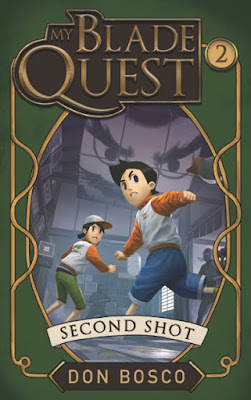 We launched Super Cool Books in the second half of 2011, with a time travel adventure series called The Time Talisman. This was an ebook published by Select Books. With their generous help and advice, I slowly learnt about the children’s book publishing business, from printing to distribution to international sales to handling bookstore returns. The next year, we started to print our own books and sell these through the commercial channels. The main title we promoted was our Sherlock Hong series, which is about a young Chinese detective in colonial Singapore, back in the year 1891. As a small self-funded startup, you can imagine, we didn't have the staff or marketing resources to compete with bigger publishers. But the response was always enthusiastic, and there was potential to take this series further. In 2015 we had a chance to expand the series through Marshall Cavendish. We have been doing a lot more books with them, from our Lion City Adventures series, to the new Superkicks series, as well as the YA thriller Magicienne, which I co-authored with celebrity magician Ning Cai, and also the non-fiction book, Imagine All This: How to Write Your Own Stories. Another series that I started in those early years, called My Blade Quest, has been recently picked up by Armour Publishing, and we're launching the first two books at this year's AFCC. 5. And the publishers you team up with get a percentage of royalty? 6. Why did you set Sherlock Hong 100 years in the past? Did this create problems in some of the storylines/plot? How much research do you do for your books? Where do you get your materials from? I had spent many years in school studying Singapore history, and world history, and so I was quite familiar with the landscape, cultural background, political situation, economy, and so on. As the decades go by, people here tend to play down Singapore's colonial past more and more. I thought it would be fun to use this story to help my kids imagine what life was like back then, and think about how it is that we have English as our main language. Here's a funny incident: after Book 2, The Peranakan Princess, came out, I met a friend for dinner and I passed him the book. He read the first line and then his eyes glazed over. He stared over my shoulder for a long time. I was worried. I waited and waited. "What's wrong? Is the book bad?" I finally asked him. "No," he replied impatiently, "the first line says 'The year is 1891', and so I want to picture Singapore in that era before I continue." To have one short sentence like that inspire five minutes of active imagination. That's the kind of vivid reading experience I really want to create for children. 7. Do ebooks do better than physical printed books? Depends on the genre, age group, and most importantly, the sales territory. My best results for my own fiction ebooks, so far, seems to be crime thrillers for older female readers (retirees) in the UK. I wrote and self published these books under pseudonyms. For children's books in Singapore/Malaysia, ebooks are not worth considering. Thanks to internet analytics, we can now experiment and get accurate information for ourselves, instead of relying on opinions from industry experts. I encourage all writers to learn more about setting up their own analytics tests. Just a few simple ones will do. You'll get some authentic insights about your sales potential. Don't rely on opinions, whether good or bad. Test. 8. Has the AFCC had an impact on your writing career? I first attended the AFCC three years ago, to talk about how I used digital publishing resources to develop and promote my books. Many of the people in the audience ended up chatting with me afterwards, and I've ended up working with them, or being interviewed by them, and I've also featured their books on my website. It was also at AFCC that I learnt about the Society of Children's Book Writers and Illustrators, and so of course I had to join that group. Now I have a nice network of creative friends who are fun, have diverse interests, and really enjoy engaging and entertaining kids through stories. In short, the answer is "yes”, it has had an impact on me. 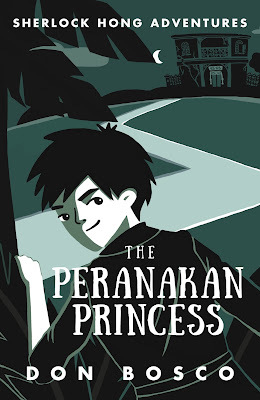 At AFCC 2015 I met a young comics publisher from KL, named Irfan Foner, and he ended up translating a few of my blog posts about writing stories, so that young comics writers in Malaysia could benefit from the tips. 9. 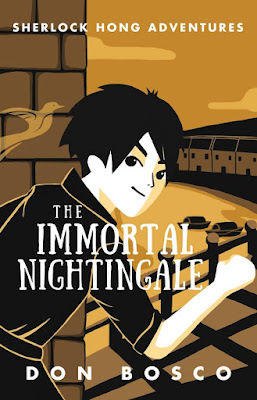 What do you think of the Singapore children's publishing scene? Has it changed through the years? I think for children's books, Singapore has a very strong and innovative library culture, but the publishing side is still modest and cautious. This is slowly growing, of course. Hopefully I can do something to help with the development. 10. Question - one of the biggest challenge facing Malaysian writers is getting Malaysian readers to purchase/support our books. How did you manage to overcome this in Singapore? The internet! Through my blog and other social media activities, I've been lucky to connect with supporters and readers in Singapore, Malaysia and around the world. Also, you should give yourself time. Super Cool Books started in 2011, and it was only last year that I felt the results were encouraging. In contrast, I know of some writers who only try for a few months, or one or two years, and then give up. So my recommended formula is: Internet + longer time. In 2013 I received a surprise email from a producer at The Breakfast Show, on ntv7. She invited me down to the studio for a live interview about my second Sherlock Hong book, The Peranakan Princess. Again, I was so excited. I wasn't able to travel then, but we did give away some of my Sherlock Hong books on the show that week. I watched the show every day on their website, just to see the giveaway segment. I became a big fan, heh. 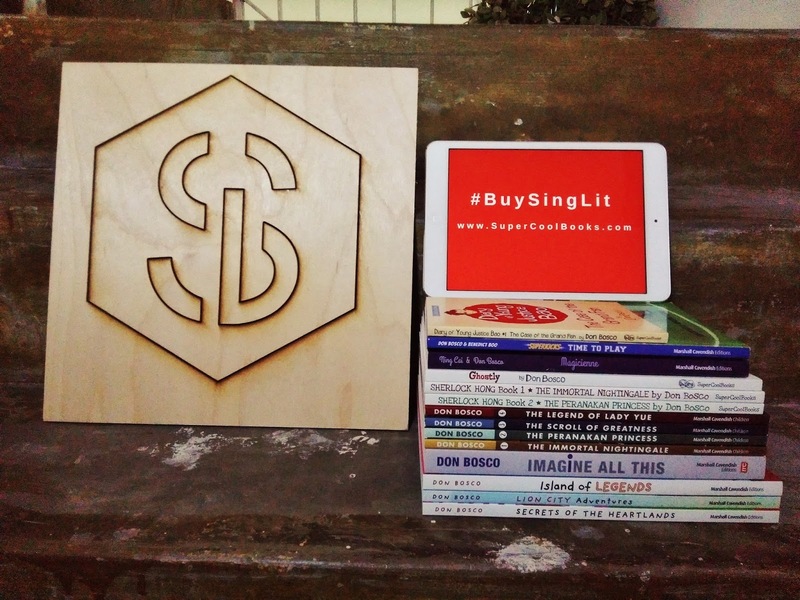 We have an education partner in KL, Brain Bytes, who promotes our paperbacks and sells them online. Thanks to them, in 2014, my Diary of Young Justice Bao book was used as the main text for an extended literacy programme at CLiC (Creative Learning and IT Centre, Level 2, UTC Sentul in Sentul Perdana) @ Sentul Raya. This space used to be an old neighbourhood library, and it's been upgraded with Chromebook laptops, internet stations and lots of new books. Guests at the launch included YB Senator Dato' Dr. Loga Bala Mohan; Secretary General, Ministry of Education Tan Sri Dr. Madinah Mohamad; Chairman of Sentul Raya Sdn Bhd Y.Bhg Dato’ Suleiman Abdul Manan; Executive Director of YTL Foundation, Y.Bhg Datin Kathleen Yeoh; and FrogAsia’s Managing Director, Yeoh Pei Lou. My simple PDF guide to creating and marketing your own ebooks. It's free. Get it here. A creative writing framework for fleshing out your story concept, based on the basics of dramatic structure and creative journalling. Also a free PDF. Get it here.